Embed Coohom's floor plan tool into your website for your customers to design their own space using your products. Enable your customers to design their home space with the products you sell. While we will be creating the 3D models for you, you’ll still have ownership of the property. White label Coohom with your brand name to maintain brand consistency. Leverage all the technologies of the Coohom Floor Planner through an easy integration process. Generate life-like room designs on your website through Coohom's high-speed rendering technology. 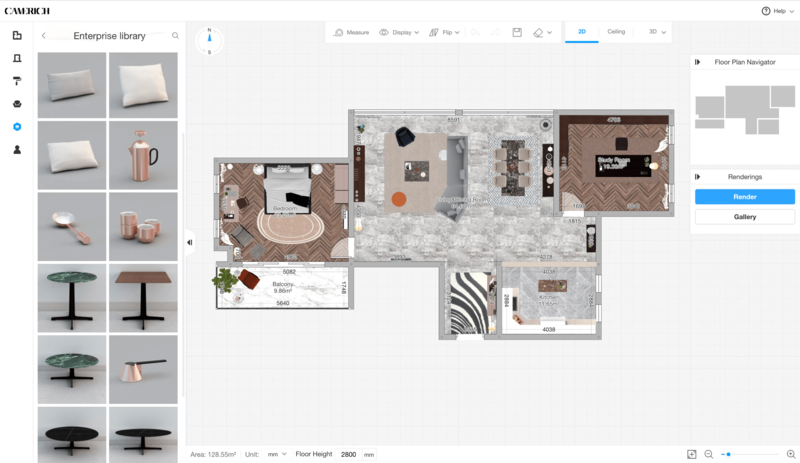 Rapidly replace models and visualize new design variations for home spaces.